We get used bicycles from auctions and give them a new life to present in our shop for whole East London. We are the biggest second-hand bikes suppliers in London. Our second-hand kids refurbished bikes starts from £20 and adult refurbished bike from £60. We offer one-month free service 2 weeks exchange with all our second-hand bikes. We offer part exchange for the bikes whatever the condition the bike you have Even it’s just the frame don’t through in bin bring to us. We give good price if you part exchange with one of our bikes. The Station cycle is that the best search in London wherever you get used bicycle in east London, cheap bicycle, wood street bicycle, kids bike in London, we have a tendency to additionally offer the bike repair facility in very cheap service charges. The Station cycle is that the best search in London wherever you get used bicycle in east London, cheap bicycle, wood street bicycle, kids bike in London, we have a tendency to additionally offer the bike repair facility in very cheap service charges. At Station bike shop we've professional sale guys who are also bicycle lovers and understand the client desires without any sake of getting additional commission by totally different means that of manipulation. everyone in our shop from customers to our tech guys has one factor common in them that each is bike lovers. that's the explanation we've changed into a prevalent call with our customers for buying and repairing bicycles. Station Bicycles shop isn't concerning to focus upon obtaining higher profits, it's concerning peopling whom adoration to ride bicycles and who want a good ride to approach their workplaces or choose the social rides in station cycle on time. With the fluctuations of an economy during this era, wherever individual have terribly restricted budget to satisfy their daily expenses and wherever is savings area unit touching the very cheap line of a survivor during this condition however someone reinvests on his /her bicycles after few weeks? 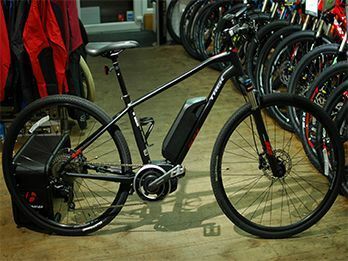 The perfect answer is to come back and visit at your own shop name as Station Bicycles shop, we'll get you the cool bike that suits you for what purpose you wish it to buy for your daily routine. Our mechanic's area unit is extremely competent and well. We offer our purchasers in Station cycle the chance to get used bicycles that fully match after modification and check method, and the company offers them one-month free service period and period of time trade without losing any quality. Our specialists got a competitive fringe of sensible estimator s that serves the client with best evaluation and quality ride. We get used bicycles from auctions and provides them a brand-new life. 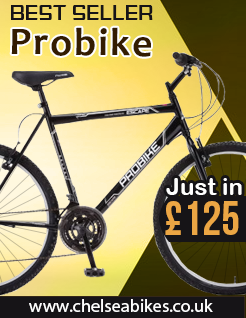 we tend to are the Pioneer and largest second user bikes suppliers in London. Our second user children refurbished bikes starts from £20 and adult refurbished bike from £60. 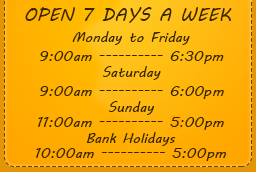 we provide one-month free service two weeks exchange with all our second user bikes. we provide a half exchange for the bikes regardless of the condition the bike you've got Even it’s simply the frame don’t through in bin bring around America. we tend to offer sensible worth if you half exchange with one in every one of our bikes.